The streets were full of people and there were broken stones and cameras and a dozen languages at least, and all the people were dressed as tourists. It was very hot; August didn’t even need to wear his blanket, and he was feeling better. Not much, but enough, and so he spread the blanket in the nearest shady spot and rested there, felt the sweat trickle down his face and sting at his eyes. He looked around, and could see nothing that he recognised–and then he did. “Dad,” he said. “Mum!” He turned to Muninn, his head swinging round so fast it hurt, and his chest was cramped within him. He tried to get up, but the bird was faster, hopping across the blanket and jumping onto his leg, just above the knee, her iron claws pricking painfully through his pyjamas. They were his best pyjamas too, his favourites, and he had been wearing them especially for the photos his parents had taken earlier in the day, photos of August in his bed with his telescope–April’s telescope–and holding pictures of the Earth. At first he couldn’t fathom it, couldn’t picture a world–their world–without him in it, but as they moved closer he saw that Dad’s hair had no grey in it, that Mum was smilier than he’d ever seen her and there were no lines about her mouth. On her back was a baby, a toddler almost, who beat at the front of her carrier with urgent fists and giggled, who wore a floppy hat with a bumblebee on it. “They look so happy,” said August, wistful, watching his parents fuss over the baby, watching them point out bits of old rock, the frescoes and the fallen masonry. “Yes,” said Muninn, and she did not say Before you, before the hospitals and the sick beds and the slow death of hope. It hurt August to hear that, hurt and comforted him both, a strange mix of feelings that he had learned to associate with the presence of ravens. But his parents were before him, his family, and if they did not know him they were his parents still, so he pushed the feelings aside and watched. Perhaps it would be alright for them, once he was gone. Perhaps they wouldn’t be sad forever. They’d been happy without him once, and perhaps they would learn to be happy again. “You have not yet seen what I want you to see,” said Muninn. “Watch now.” And she pointed her blunt iron beak at his parents–at the people who would be his parents, and who would not regret it. They had come closer now, so close that if in another time he had spoken they would have heard him, and then they were swallowed up, swallowed by a group of people gathered round something on the ground, and August couldn’t see them anymore. 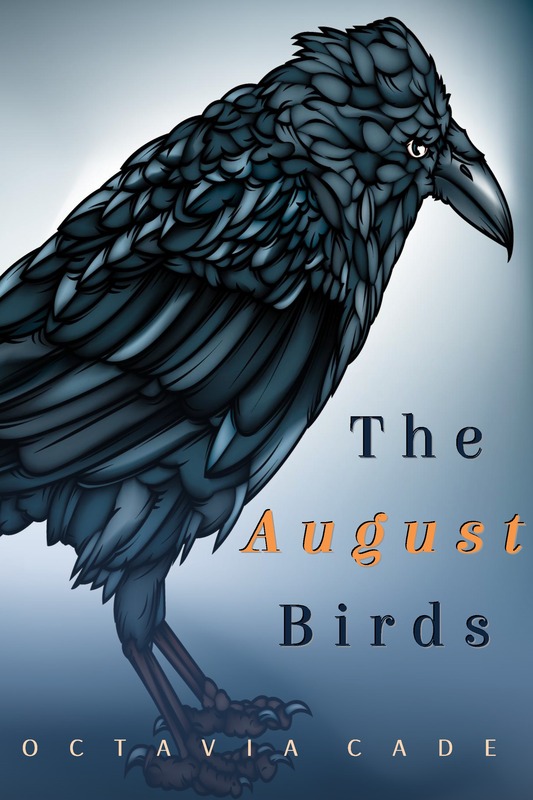 And then the raven was off his knee, her sharp little claws out of his leg, and August was free to lever himself to his feet, to slowly, carefully, stumble towards the crowd, to squeeze through legs and people until he came to a halt against the corner of a glass display case, with his parents two panes away and bodies on the ground between. “Look,” said Dad, pointing to a small figure. Its legs were curled up like a baby and the arms were over its face and Huginn was standing on one thigh as Muninn had done for August, his black iron feathers sharp against the white and preening. “Poor little kiddy,” said his Mum, young and happy in Pompeii and reaching back to squeeze April’s plump, healthy baby leg, as if to reassure herself that her child, at least, was safe when others had not been. They walked away then, hand in hand and with the child that would survive with them, walked into the future without him and August stood and watched them go through glass that reflected his pyjamas pale as plaster and they were not his favourites anymore. Watched them go through the glass, frozen to himself and soon to be frozen to others. Frozen as, in the Garden of the Fugitives, other children were frozen, rigid in their shapes and left behind because they couldn’t run fast enough to escape the death that was coming for them. And leaping over those children, leaping in the half-run, half-hop that characterised the corvids was Huginn, and he turned towards August and then away again, and not in pity. “Did you bring me to the wrong day?” said August, and if his voice was hard and dead as statues he couldn’t bring himself to care. “Will I ever know the answer?” said August, and Muninn considered him with eyes that seemed to him to be very old then, as old as rocks, as old as plaster. Tune in tomorrow for the next chapter, wherein August is taken back in time to see Hong Kong and the bacillus of bubonic plague!